The Ultimate Fighting Championship promotion first came into existence 25 years ago on November 12, 1993 and ever since then has seen the premier performers in Mixed Martial Arts compete against one another inside the world-renowned Octagon. Playing host to fighters possessing all manners of fighting disciplines, the UFC has produced an incredible amount of stunning action on its shows and played host to a massive number of mixed martial artists from all over the world. However, the promotion that can now boast over two million pay per view orders for its marquee matches was not always so culturally accepted by the mainstream. Former presidential candidate, the late Senator John McCain saw a tape of early UFC events in 1996 and sought to ban it by asking all 50 American states to refuse to air the company's events. 36 states adhered to McCain's wishes and the UFC effectively went underground and its once impressive pay per view audience became minuscule. This led to the promotion's biggest star Ken Shamrock signing a deal to compete in the World Wrestling Federation instead. Other names such as Mark Coleman and Wanderlei Silva began to ply their trade in Japan for emerging league, Pride FC instead. As a result, several names from this era have faded into history. Since UFC became a big part of the mainstream's combat sports consumption in the mid-2000s, the sheer volume of competitors in UFC exploded as the roster gave opportunities to large amounts of hungry fighters. However, given the huge amount of fighters on the company's books in recent times it's inevitable for every UFC superstar such as Conor McGregor and George St. Pierre there are many, many more whose runs are unmemorable or for who established legacies are simply forgotten. Lost to time for a host of reasons, some former UFC fighters are simply not remembered by fans today. 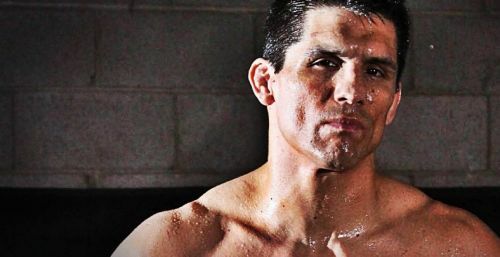 In the following slideshow, we look at four such former UFC stars from the past and analyse possible reasons why there are not well remembered by fans today. 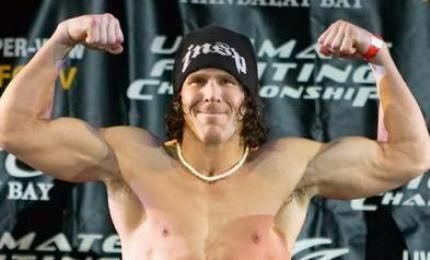 From 1999 to 2005, Evan Tanner was one of the premier performers in UFC. Defeating such legends of the Octagon as Robbie Lawler and David Terrell, the latter being for the Middleweight Championship, Tanner seemed to be a future Hall of Famer in the making. However, Tanner's career suffered a decline from 2005 to 2008 as he lost four of his final five fights. On September 3, 2008 Tanner went camping alone in the California desert. After friends and family were unable to contact him, he was reported missing and discovered dead on September 8, 2008 next to numerous empty bottles of water. Temperatures had reached up to 48 Degrees Celsius. The coroner reported Tanner's cause of death as heat exposure to excessive desert temperatures. Tanner's is a name that is seldom heard on UFC programming in 2018 as his legend it seems has faded into history. Perhaps a Hall of Fame induction in future will cause fans to recall the forgotten man of MMA.